At Public Sewer Service, a division of Bogush Inc., our knowledgeable service technicians provide you with the most up-to-date methods of sewer and drain cleaning available. We ensure professional and economical services for any type of drain stoppage. Our drain cleaning specialists can unclog any type of stoppage using high pressure jetting services. We also provide video pipeline inspections, and can unclog toilets, sinks and main lines too. If your parking lot is in need of sewer cleaning, we can be of service. Along with grease trap pumping/repairs and Jet/Vac services, Bogush Inc will be by your side no matter what type of drain cleaning issue you may have. 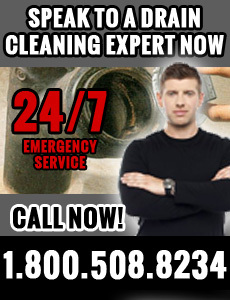 For more information on the drain cleaning services provided at Bogush Inc, give us a call today at 1-800-508-8234. We look forward to speaking with you.